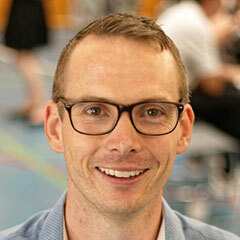 Scott Westwood is an Associate Pastor at Trinity Church Modbury. Scott grew up in a church-going family but didn’t become a Christian until his teenage years. That changed just about everything for him. He still enjoys cricket, a good telly show, and food he probably shouldn’t eat so often, but now there is something he enjoys even more than these: Jesus. Scott is stoked that Jesus saves, so he also enjoys talking with people about Jesus. Scott is married to Pip. They have a young daughter, Eva, who is a bundle of energy. Together they like finding new parks for Eva to explore.